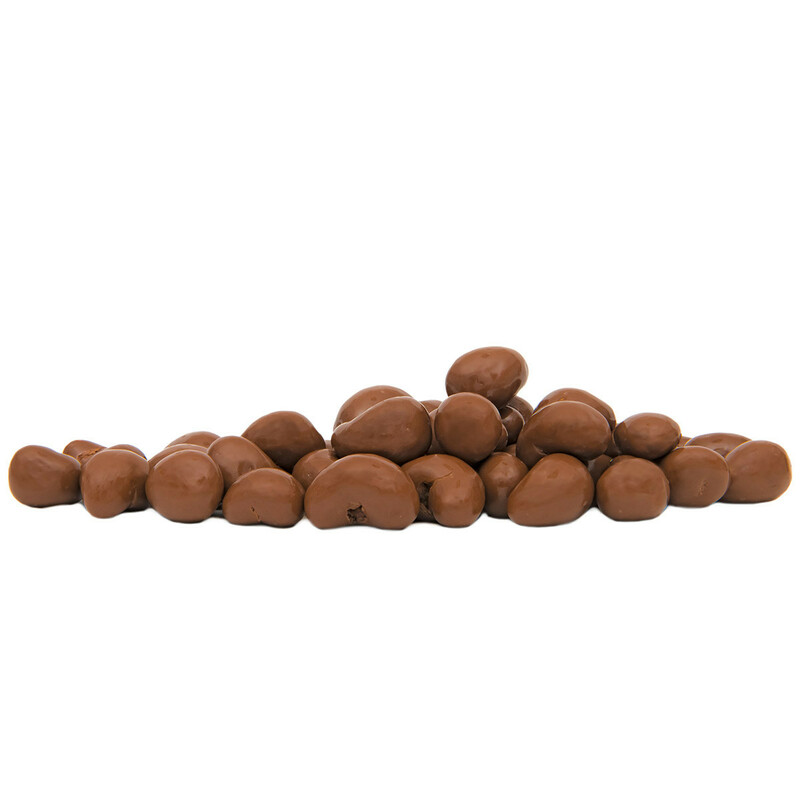 Milk chocolate perfection + crunch = Scrumptious Chocolate Cashews. You’re 99% there, you just need an extra 1% kick of chocolate decadence to make it an awesome day. 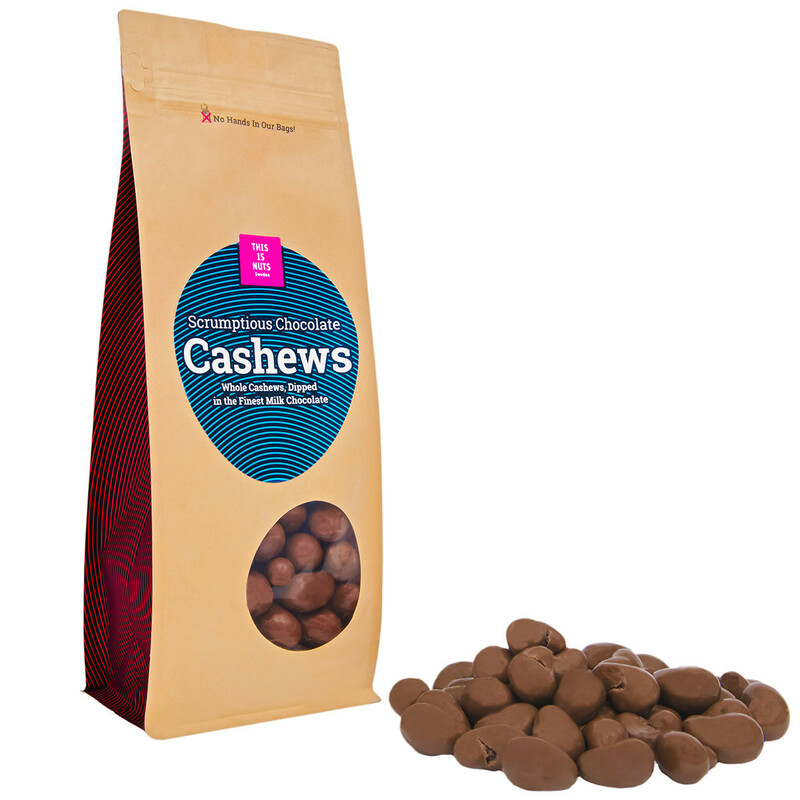 Our hand-selected cashews are naturally creamy, then dipped in the finest milk chocolate. Make your day, an awesome (chocolate) day. 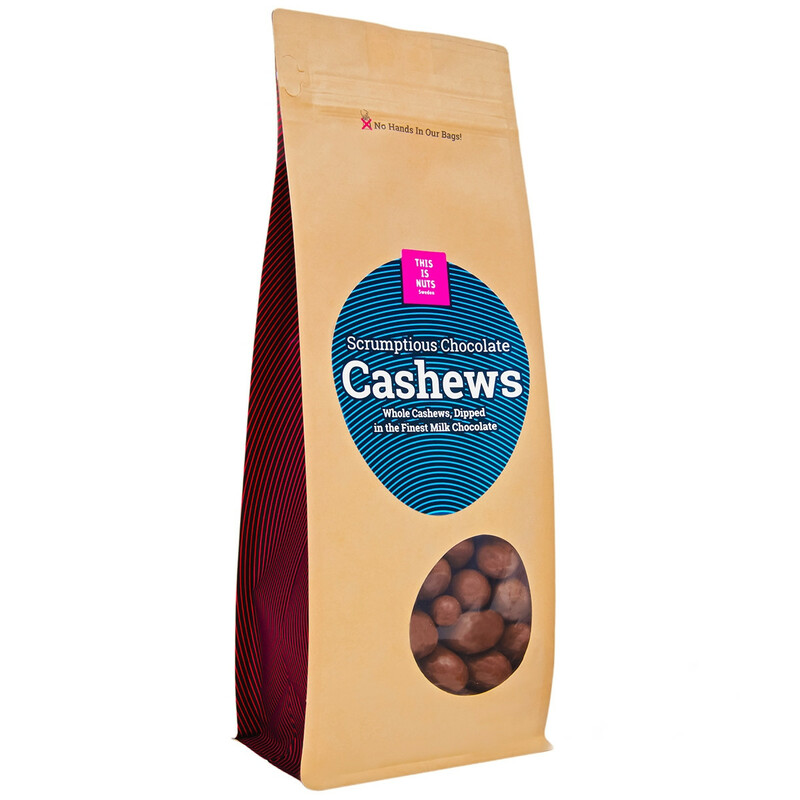 Our cashews are of the highest quality, from the first selection, and hand-roasted in Sweden. 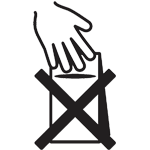 Our chocolate is made in Sweden and carries the same standard of high quality that we instill in all we products at This Is Nuts. Sugar, cashews (30%), cocoa butter, whole milk powder (26%), cocoa mass, emulsifier (soy lecithin), natural vanilla flavoring, surface treatment agents E904, glucose syrup, modified starch. 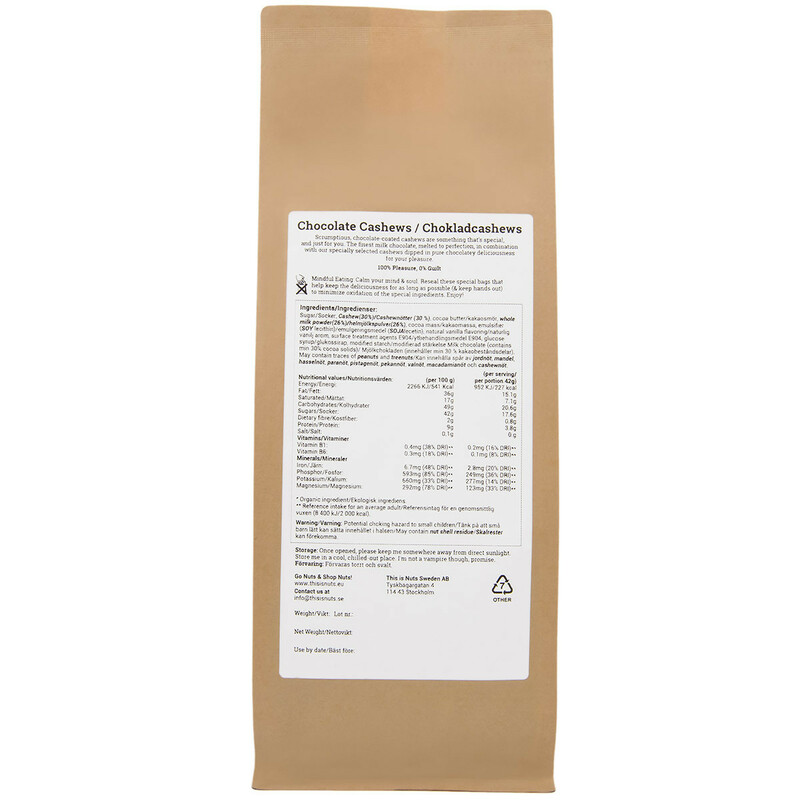 Milk chocolate (contains min 30% cocoa solids). May contain traces of peanuts, treenuts, sesame seeds and gluten. Stillness of the mind and calmness of the soul can continue, as our nuts are 100% pure which means that no hands have touched the contents of this bag until your own. Following Swedish attention to detail and practical design, reseal this bag in order to retain the same heights of pleasure that you had upon first opening.